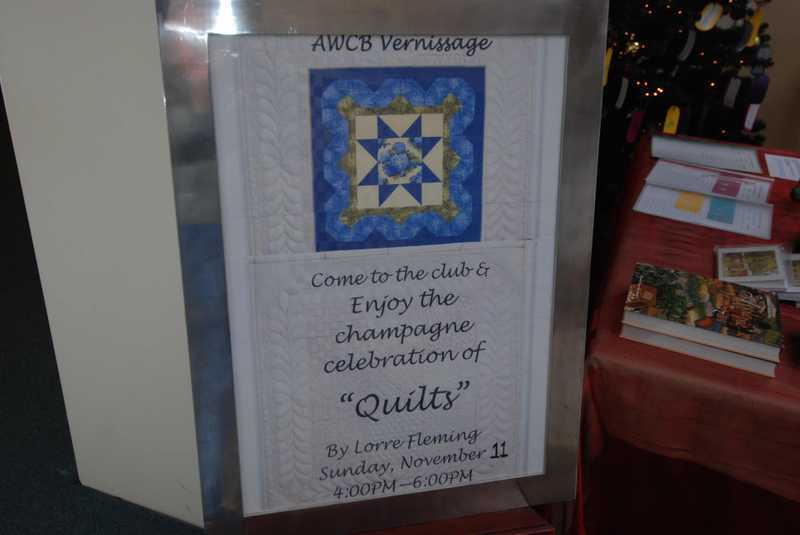 On November 11 of this past year, I had a two month long quilt show at the American Women's Club in Brussels, Belgium. 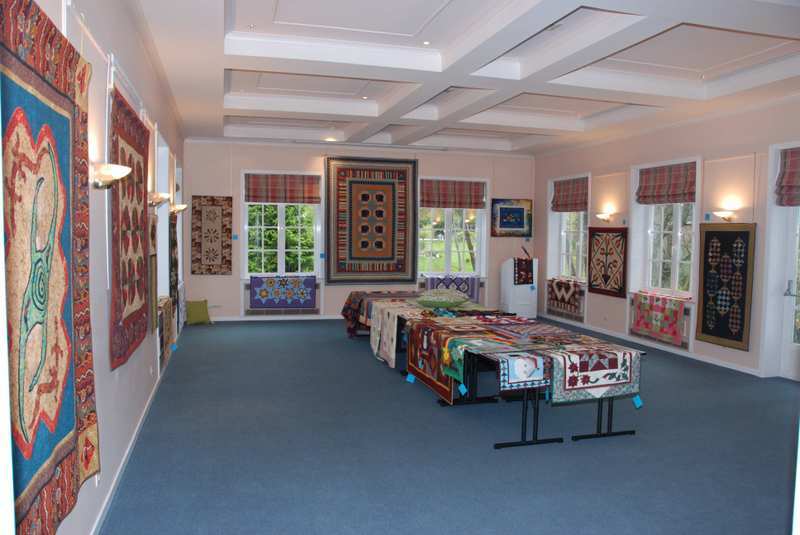 It was a great experience to see all of my quilts displayed in one place. 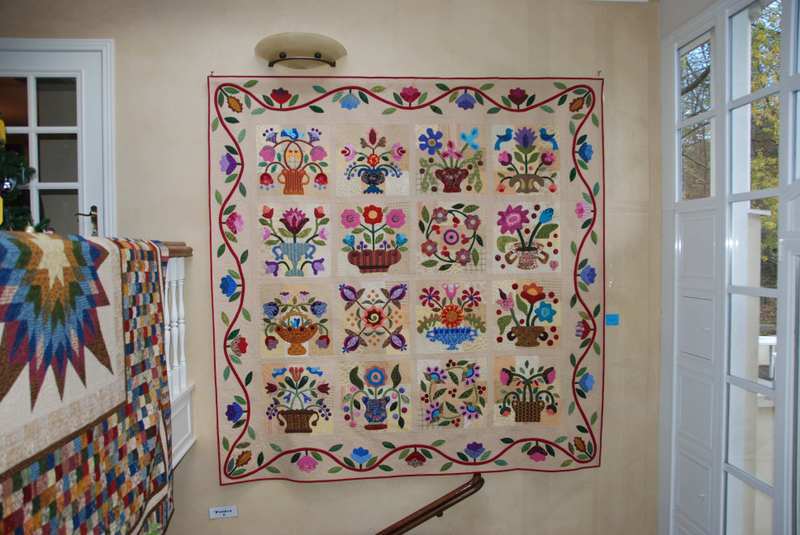 I had 75 quilts on display in the Women's clubhouse that spread throughout three rooms and the entryway. I managed to sale a lot of them which just gave me the necessary justification for the spending on my trip to Lancaster in December with my friends M and K. Yes, I am the infamous L they were both talking about in their blogs! I worked very hard last year finishing up all of the old UFO's and put together orphan blocks to make complete quilts. The quilt I am most proud of was finished less than a week before the show. 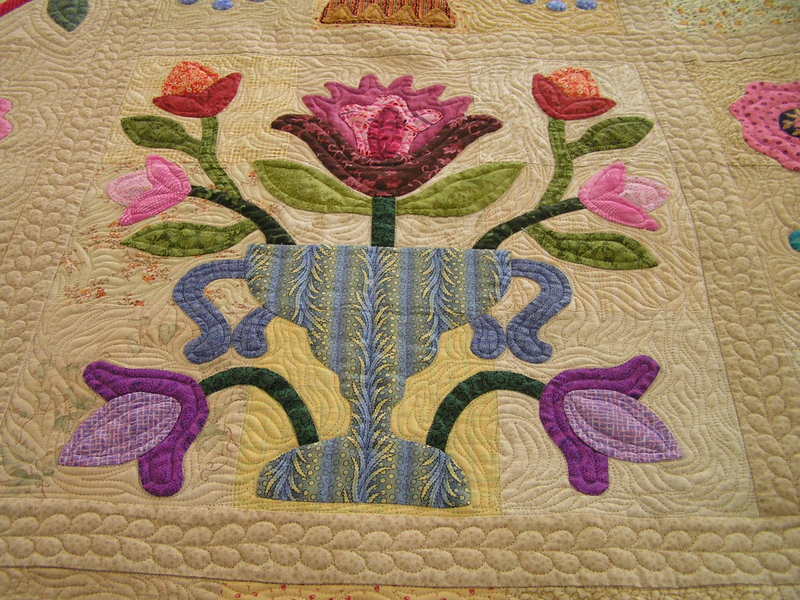 It is my appliqued baskets quilt using block ideas from various quilt makers such as Susan McCord, Piece o' Cake, Jo Morton, Jan Patak, etc. The quilt is 100 inches square and the blocks are 18 inches. 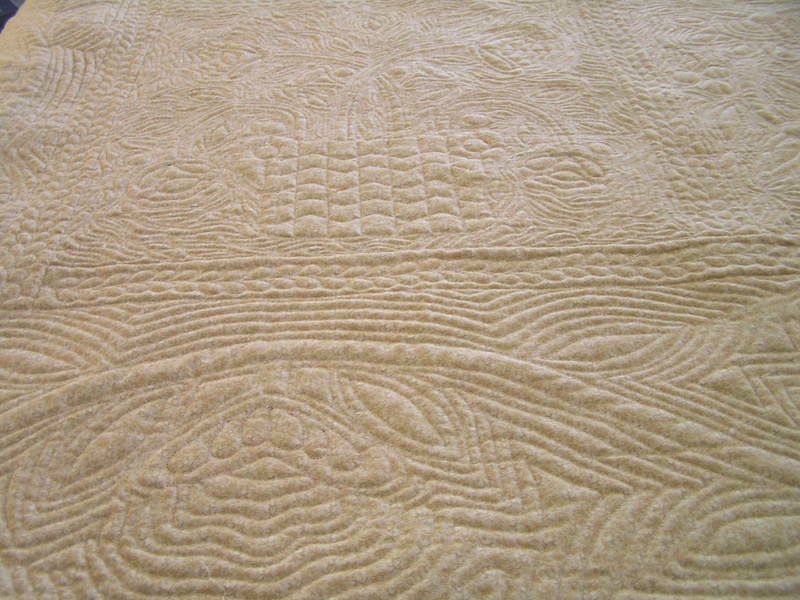 Here is a close up of the quilting on the blocks. 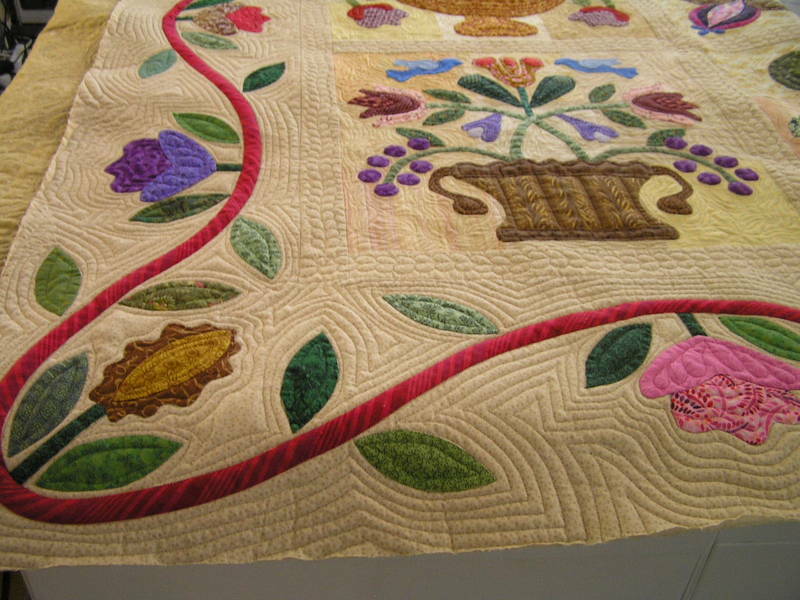 Here is a close up of the quilting on the borders. And finally, here is a picture of the back of the quilt. I used Superior Bottom Line thread on both the top and the bottom to try to avoid too much thread weight as it is very heavily quilted. 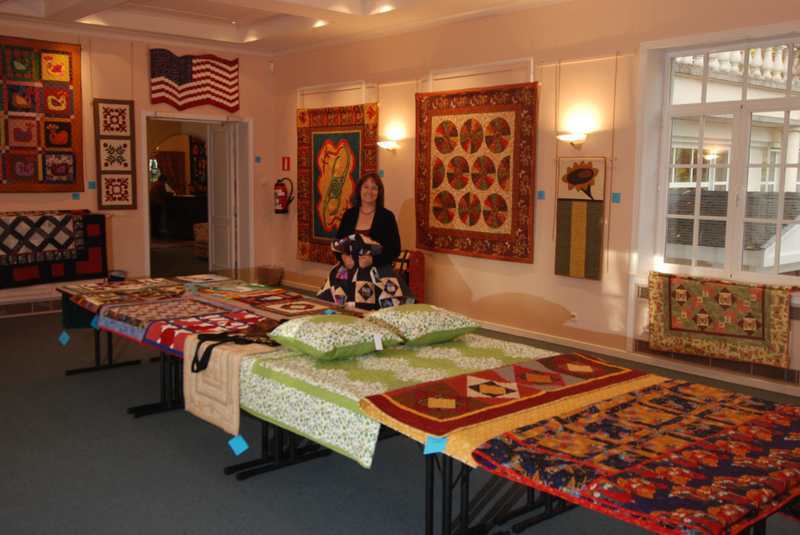 I had a long arm business in New Jersey, Canterbury Quilts, that I closed down when I left two years ago. I found myself working on customer quilts so much that I gave up a lot of my other hobbies. Since moving to Belgium, I have been busy quilting my own quilts and making some of the quilts I have been dying to make but just didn't have the time. I still have several customers in New Jersey that send their quilts to me via the DH on the airplane and also through the mail. I also do a little quilting work for some of my new quilting friends here in Belgium. 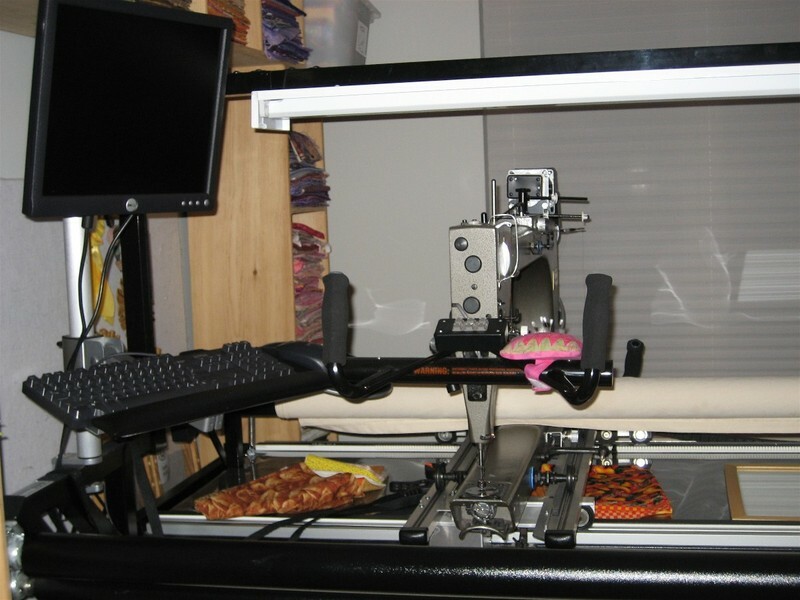 I have a Gammill Statler Stitcher and I never gave her/him/it a name. What kind of long armer am I anyway? I vow to myself not to go back to this working insanity when I return to the US (whenever that is???). I want to continue with a small business when I return, but I promise to myself, the customers will be limited and the customer quilts will be drastically reduced. It took a move overseas to break the cycle. I tried for two years to 'cut back', but, no matter what I did, things never changed. Can anyone out there relate to this???? ?